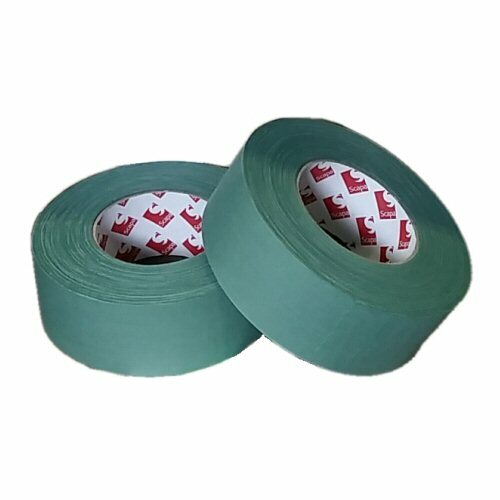 Genuine British Forces issue green cloth tape, sniper tape or tank tape for camouflaging, glare reducing, repairs, limited weatherproofing and labelling. Also often used as grip tape to enhance handling, insulation barrier from hot or cold surfaces, or to reduce rattling of items in pouches. The roll is full sized 50mm wide (2 inches) and 50m long. Long lasting pressure sensitive adhesive which sticks to waterproofed materials, nylon, metal, wood, plastic, polyamid and leather. Strips can be torn off the roll in the field, but once applied, the cloth tape is strong, stable and sturdy. Official Nato designation: 8315-99-896-0167 Tape, Green, Linen, Repair, Combat. Infrared reflection resistant. Price is for ONE 50 metre roll only.